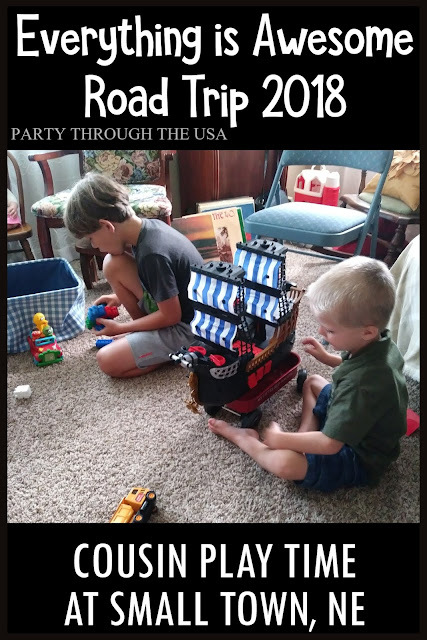 We've been home from our Everything is Awesome Lego Road Trip for one week. I'm just starting to get us unpacked and dig the pictures off the camera to share. 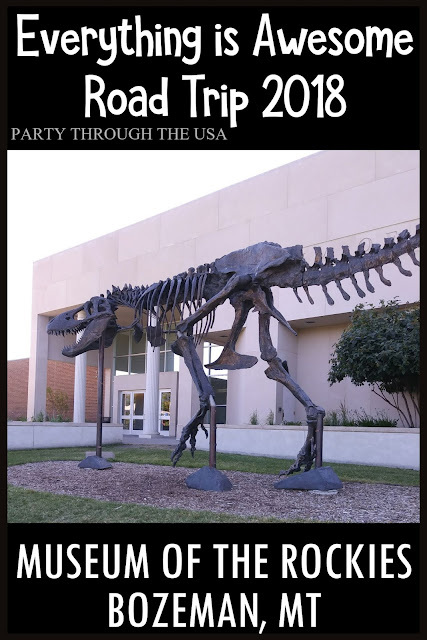 I have several road trip posts planned in the near future (some of them are guests posts on other blogs), so this post is just meant to be an overview. Unfortunately, our Everything is Awesome trip didn't start out very awesome. We were anticipating a family reunion with my husband's side of the family, headed by the matriarch, who was near her 90th birthday. We were very excited to get to spend time with her, as we hadn't seen her in over two years. Sadly, she died a few days before we left for our trip. Our second issue that caused us a bit of stress the weeks before the trip was car trouble on our big, comfy, nine-seater SUV. I made a few crafts for that car to help make it even more comfortable, and was excited about using it. A few days before we left, my husband informed me that we wouldn't be able to use the SUV and would need to take the much smaller, five-seater Rodeo (note- there are 5 of us). Since we took the smaller car, we had to come up with a cargo solution. We decided to purchase a rooftop cargo bag, which turned out to be a good product. 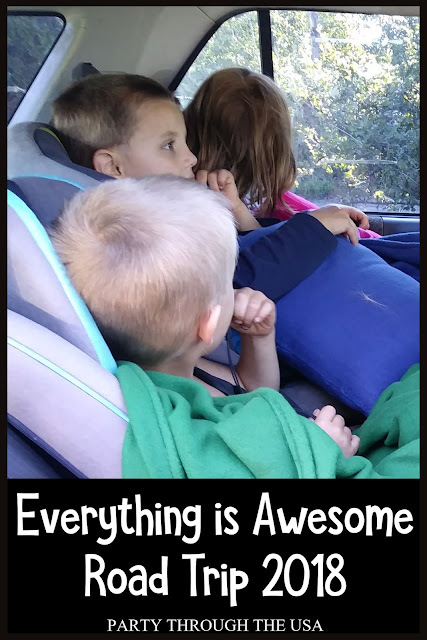 The lack of extra car seats meant that all the kids had to sit next to each other, which was not the original plan. It was a bit squished, but the kids are still young enough that they didn't mind too badly. My seat was much less comfortable than it would have been in the SUV; however the air conditioning was a-m-a-z-i-n-g! Our first day of driving was also Dragonfly's birthday, so we surprised her with a trip to the Museum of the Rockies. We first went two years ago, and the kids have been talking about it ever since. They loved it even more this year. I will write more details in a future post, so look for that soon. After several days of driving, we arrived at my grandparents' farm. They've been married for 63 years and are still living in the house they bought early in their marriage. The way they love each other and help each other is so inspiring. We were only able to spend a day with them, but it was such a precious time. The boys remembered Great-Granddad's orange tractor "Alice" from two year ago, and were very excited to spend time on it again. They also got to spend time on a John Deere tractor, working the hydraulics to move the scoop up and down. 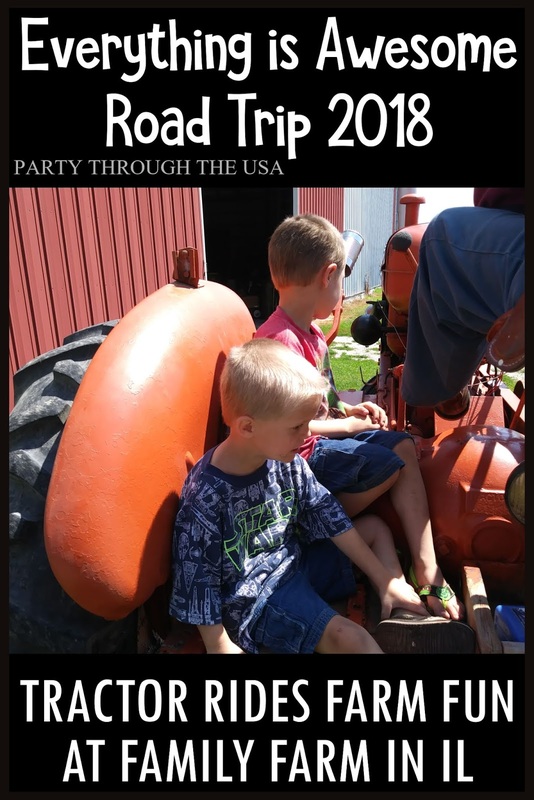 Granddad hooked up the trailer and took the kids and my husband on a drive through the countryside to a farm with animals. 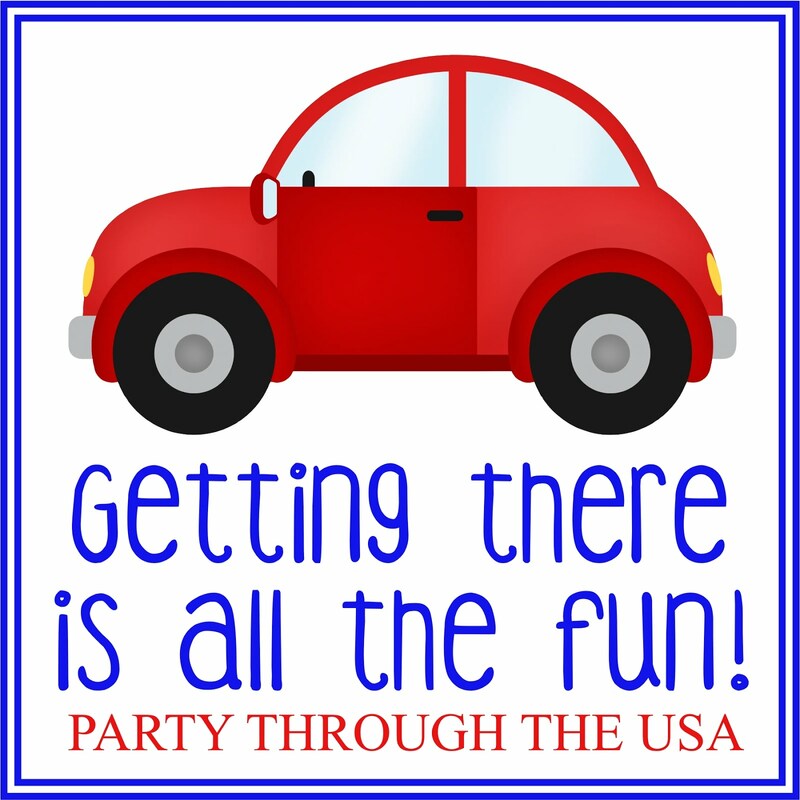 Everyone had such a great time that they went a second time! The boys were excited to see "Dusty Crophopper" planes both near the farm and on our drive. The kids also spent a lot of time riding their bikes in the driveway, which pleased my grandparents a lot. It's been many years since my own mom was riding in that same driveway. It was sort of a "full circle" moment. I don't know if we'll ever get back to the farm, so this was a very special part of our trip. After we left my grandparents' farm, we drove another day to my husband's family in Nebraska. All of his siblings, spouses, and kids were there, so we got to spend lots of time with them. The kids played inside and outside, the adults played music and talked, and there was even a trip to a water park. It was a fun, relaxed time, and way too short. I love taking pictures of my kids when we're on vacation. Is that weird? We also had a large family reunion at a rented retreat center. It was very fun to have all the cousins and their families in one building. My kids loved meeting all the other kids and sleeping in an exclusive "hotel" full of people they knew and could play with during the day. They didn't want to leave. While we were at the reunion, we had the memorial service for my husband's grandmother. It was a lovely service at one church, followed by a meal at another church. During the reception, I got to meet a lot of people from my husband's past, which was pretty cool. Every day after dinner, the family met together in one room for games, skits, quizzes, and other fun things. 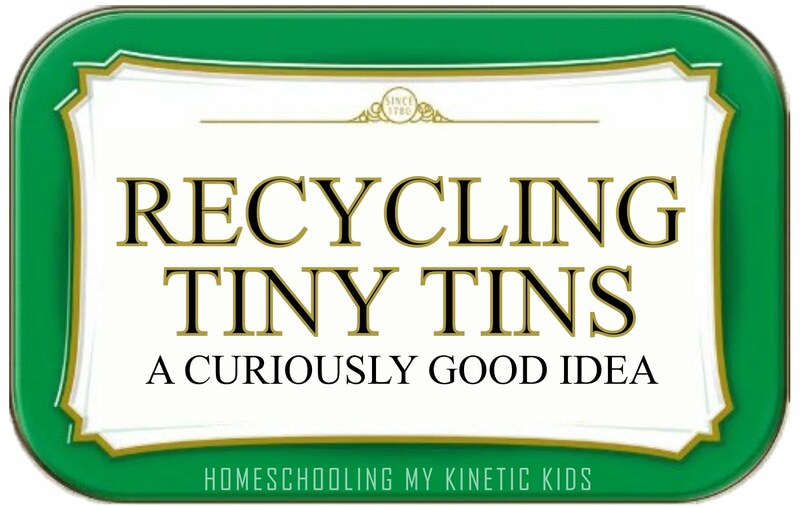 The kids participated a bit, but mainly they played with the giant bin of Lego that one of the cousins brought. 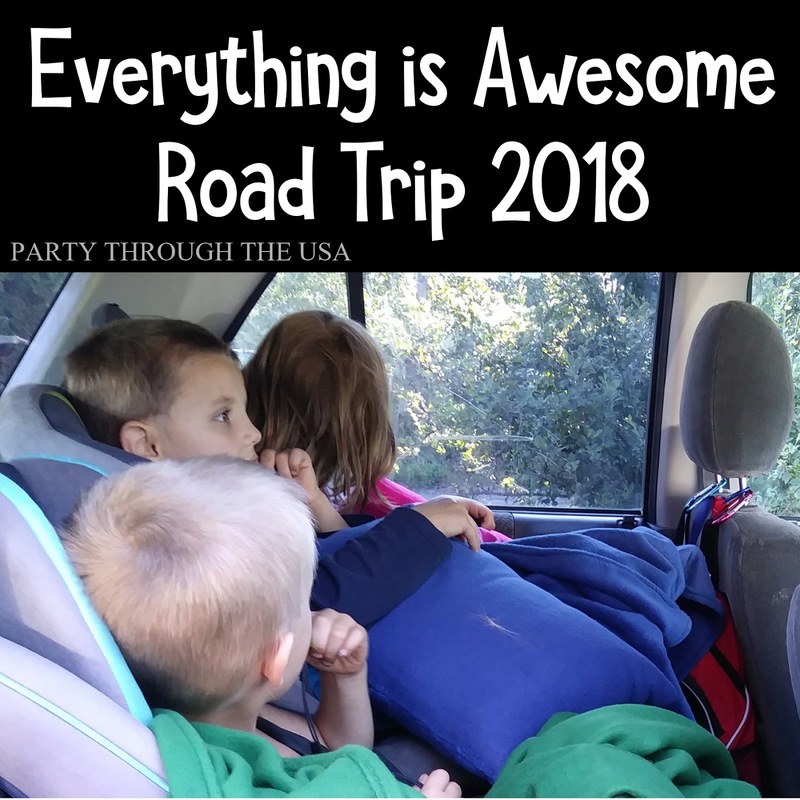 It was a very awesome way to include Lego in our Everything is Awesome Lego trip (see how we customized our road trip to the Lego theme by clicking the link). The kids have really gotten into Lego since this trip (although they're still only playing when Daddy can play with them to help contain the chaos). On our way home, we stopped at Reptile Gardens near Rapid City, SD. 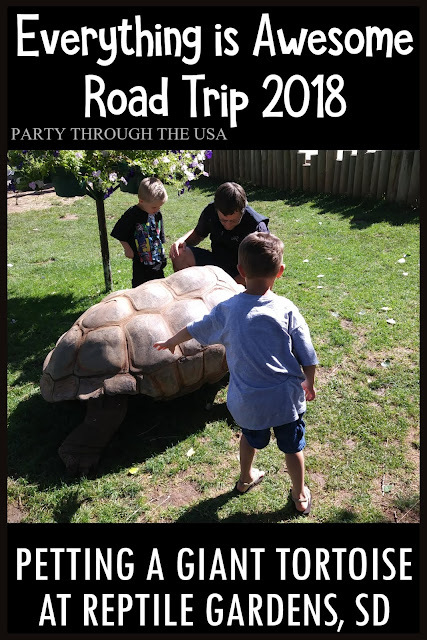 The kids loved all the snakes, turtles, and other animals at the world's largest reptile zoo! We watched a show about poisonous snakes and one with gator wrestling. My kids had mixed feelings about those two shows and animals, but they all loved the giant tortoises. They were roaming around in an area where people could go up and touch them. You can see in the pictures that they kids were dwarfed by the reptiles. I intend to write more later, so watch for that post. It was a busy, whirlwind trip. We all enjoyed it, but we're excited to be home. 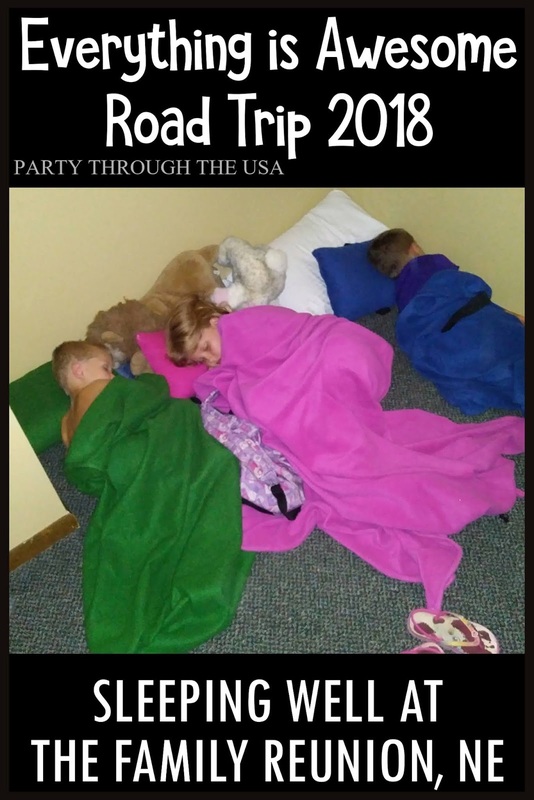 Check back next week for more posts about road trips with families.